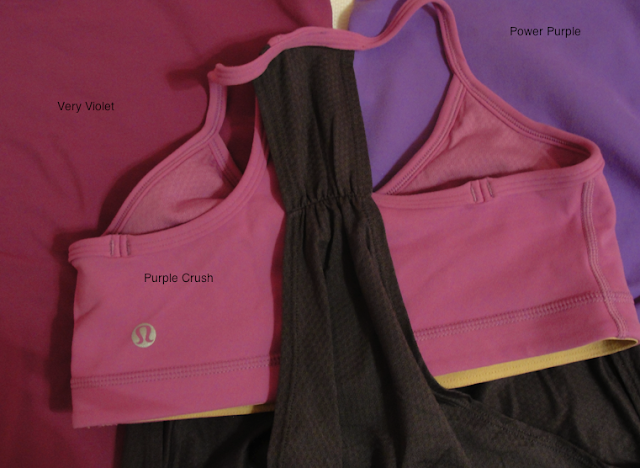 This is a great comparison between Very Violet and Purple Crush thanks to Angela. The third color is Power Purple which is quite a different purple from the other two. With so many subtle color variations coming out close together it’s helpful to see these to make purchasing decisions. For example, if you have a Very Violet Cool Racerback you may not want to purchase the Purple Crush, or, you may have purchased the Very Violet but was unhappy that it was a static version so the Purple Crush may tempt you.